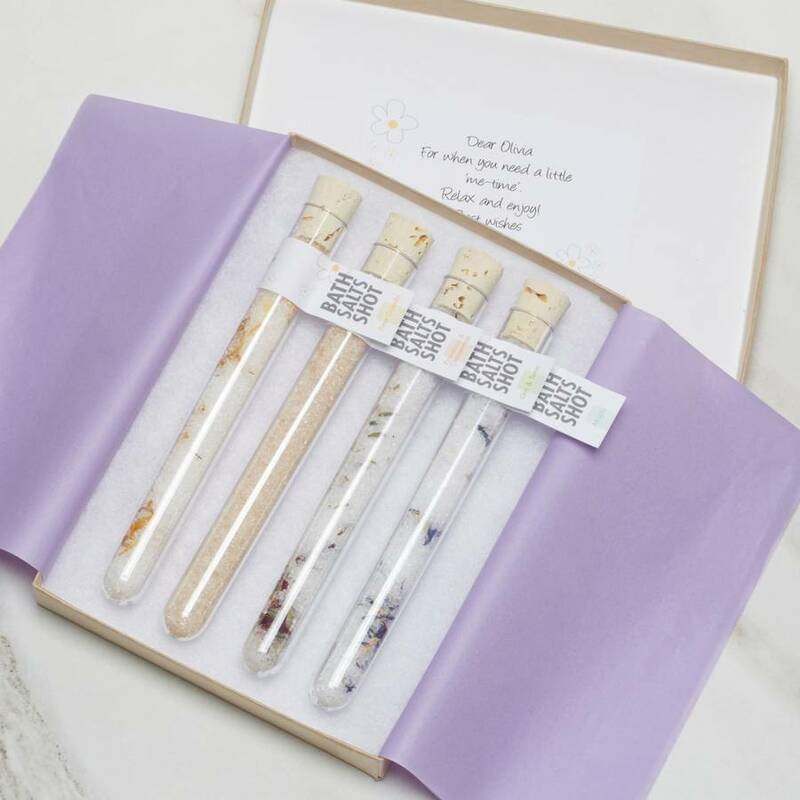 A quirky gift set of 4 individual test tube shots filled with cocktail scented bath salts. Bathtime certainly won't be boring with these. 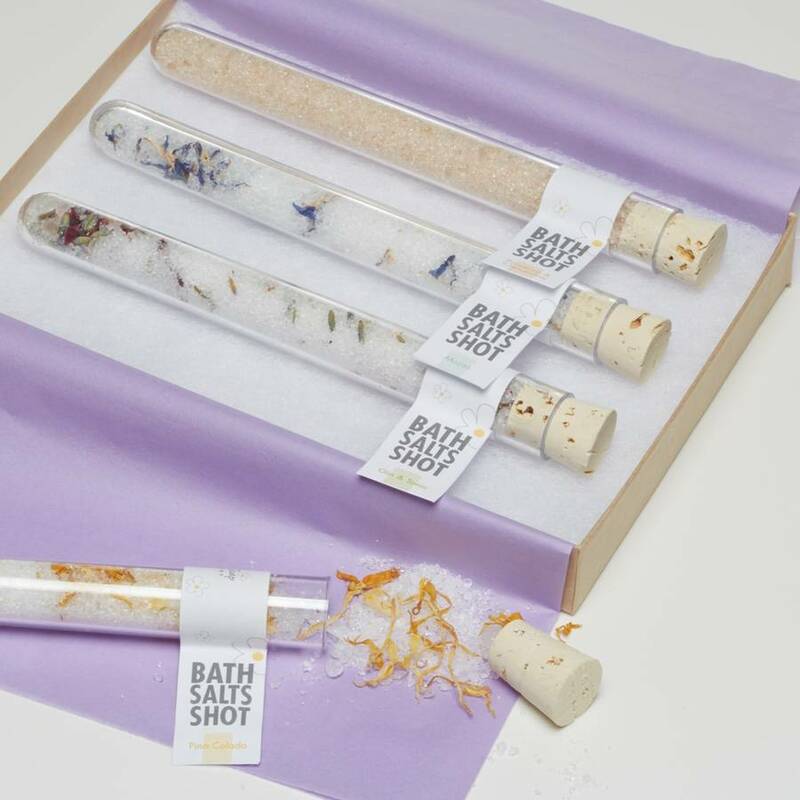 This Cocktail Bath Salts Shots Gift Set is a new take on an old classic. 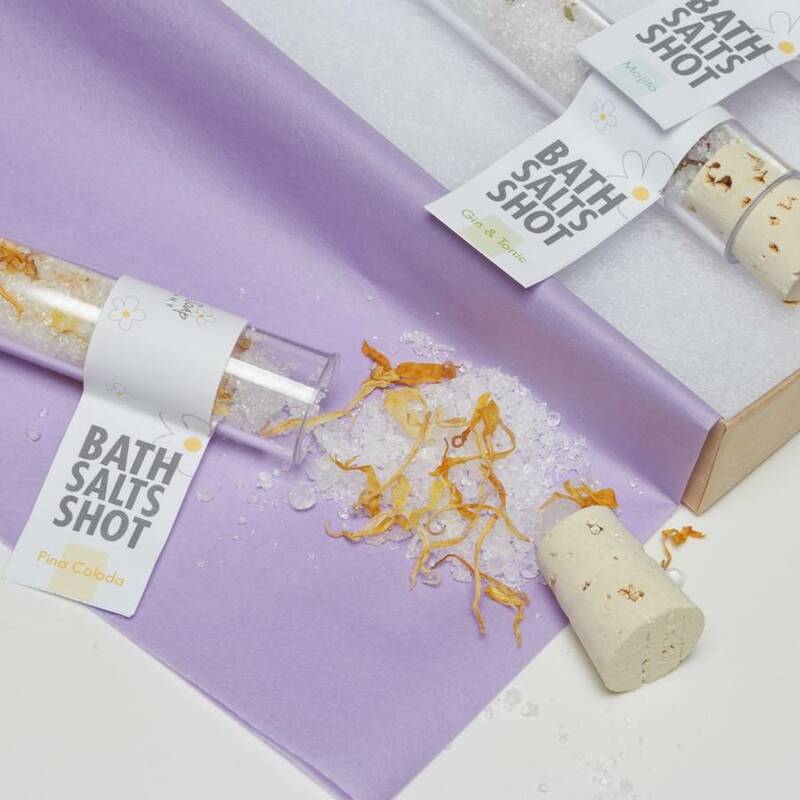 Our hand-blended bath salts contain Dead Sea salts, magnesium rich Epsom salts and botanicals all scented with fun cocktail-inspired fragrances. Each gift set contains one of each cocktail fragrance: Prosecco & Clementine, Gin & Tonic, Pina Colada and Mojito. And if you'd like to make your gift special we can add a personal message to the box. Just let us know what you'd like to say. 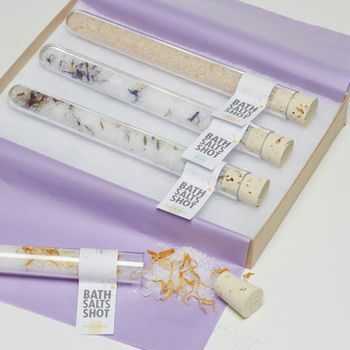 Our Cocktail Bath Salts Shots Gift Set is a great idea for a fun Christmas present with a twist. The kraft gift box measures approx. 18cm x 13cm x 2.5cm.